PWC do you know the rules, regulations and safety requirements? What is a PWC? Surprisingly enough we hear this question asked ALL the time. 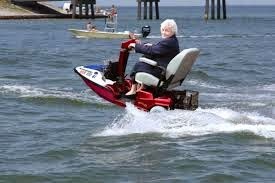 A PWC is a personal watercraft, also known as a jet ski, or in some parts of the world a water scooter. 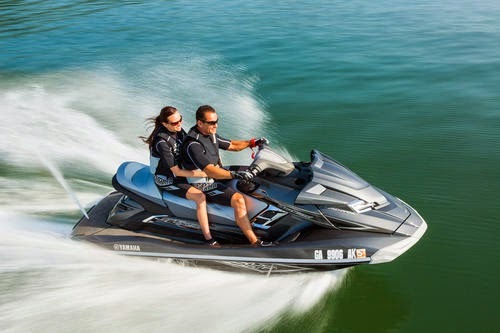 Do not get confused Sea doo's, Waver runners, and Jet Ski's are all personal watercraft the only difference is who the brand name is trade marked too. With Sea doo a lot of people get confused as Sea Doo also builds and markets jet boats. 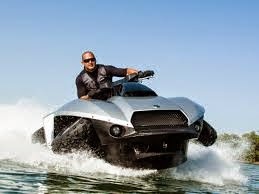 Sea doo PWC's are not a 'BOAT per say they are very similar to every other brand on the market. All PWC's are stand or sit 13 foot or less vessels, running on an inboard engine which propels a jet pump. Do not let yourself be confused or swayed into believing a boat and a PWC are one in the same and if one can drive a boat one can properly run a PWC or vice versa. PWC's do have a lot of benefits for new or experienced boaters. 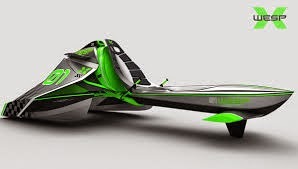 They are affordable, easy to transport, fairly easy to maintain (if you know how to do this properly), they are great for water sport, socializing, and cruising the waterways. Although despite how popular and fun these vessels can be the lack of safety preparation and knowledge of laws and regulations to operate one are still highly ignored or unknown. Of course in a lot of cases the legal guidelines vary from state to state or country to country, however safety equipment requirements remain the same. So we recommend if you have or are looking into buying a PWC you take the time and look up your areas requirements for operation. The guidelines set forth by your government or Coast Guard NEED to be legally and respectfully followed. • Must be over 16 years of age to operate PWC, no exceptions. • Hold a valid approved PCOC, and have on your persons when operating vessel. • Have at least the Minimum CCG approved safety equipment on board. However these regulations and age requirements do not apply in the Northwest Territories or Nunavut. Which personally I think is absurd. • CG approved PFD for all persons operating or on board. Fit to size and weight. • 1 buoyant heaving line NO less then 15m. • CG approved flares or waterproof flashlight. • A proper, approved and functioning sound signaling device. Boat Nut Media would advise for all boaters and PWC operators, especially when going out alone, inexperienced, or on unfamiliar waterways to always invest and keep an AIS device with you. Most AIS devices (Automatic Identification System) are equipped with both flashing strobe lights for higher visibility, and GPS for a more accurate location. When activated your AIS will transmit to all AIS equipped vessels in the area, this can certainly increase your chances of receiving quick accurate assistance. With over a million PWC's registered in both Canada, and the United states its safe to say there is a strong market for these vessels, but as with any popular market comes many risks. The statistic's of marine related accident's as whole is quite disturbing, but when you think about half of marine related incidents happen on PWC's and there are triple the amount of registered Boats on the water, this should be a clear sign safety is not taken as seriously as it should be. Just taking a look at the USDOT statistics shows us that over 3,200 PWC accidents a year are reported, with over 1,500 of those accidents resulting in injured persons, and almost 70 of those ending in fatalities. The USCG also reports that per 4,000 accidents close to 2,500 of these are due to collisions with other vessels. The sad part is with more boaters and PWC operators being more observant and taking less risk's this number could drastically come down instead of increasing. So why do so many PWC accidents occur? How can these accident's be avoided? Well first obviously like every other motorized piece of equipment, accident's happen, things fail, things can be hit, on a jet engine sucked up, and people will still always take risks no matter how illegal or insane it may be. ↪Low visibility and high speeds. 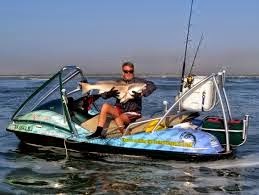 PWC are much smaller then a lot vessels on the water which makes them hard to be seen by other boaters. When you combine this with no direct routes, and high speeds both with boats and PWC's accidents happen quite often. Being aware that PWC's and other boats on the water can change direction at any moment and it is extremely hard to judge where and how fast the boats around you are going paying close attention to marine traffic on the water is highly, highly advised. It is important to remember your PWC does not have navigation lights or an anchor light so in low light or bed weather you will be the last vessel to be seen on the water. 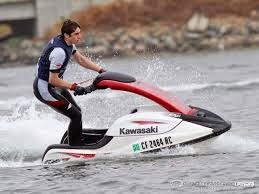 If the lake has the right conditions and you are riding a white PWC you can blend in with the white caps, and at higher speeds this is a serious issue! ↪Be observant! Especially on PWC, operators are usually out for the thrill and the fun of it. Somewhere in between keeping up with your buddies, or looking for the next good wake a lot of times you fail to keep your surroundings in mind. Always be aware of your environment, what's around and below you, what area are you in, is there a lot of traffic, how close to shore are you, all of these are important to know at any given time. ↪Dangerous maneuvering is never advised and should always be avoided. What would be considered dangerous maneuvering? Sharp, or high speed turns, taking unnecessary risks, or weaving in between marine traffic. Speeding through no wake zones, by moored or anchored vessels, buoys, during dangerous sea conditions, or around high risk environments (i.e. low depths, rocks, lines in water, ext.). Jumping or following a boaters wake, this always seems like a fun idea at the time! It is never advised to follow in the path of a boater, jump, steer, or run up on a boaters wake. There are multiple reason's for this you can hit the wake to hard or at the wrong angle which can end in sever injuries, or accidents. Also the boater may not be paying attention and see you following them and if the make a sharp turn, or slow down and your not paying attention or are to close you can literally run your PWC right into the back or side of the boat. PWC's are agile, maneuverable, and quick, doing twists and turns, pulling 180-degree turns, and jumping large wakes can be a lot of fun! 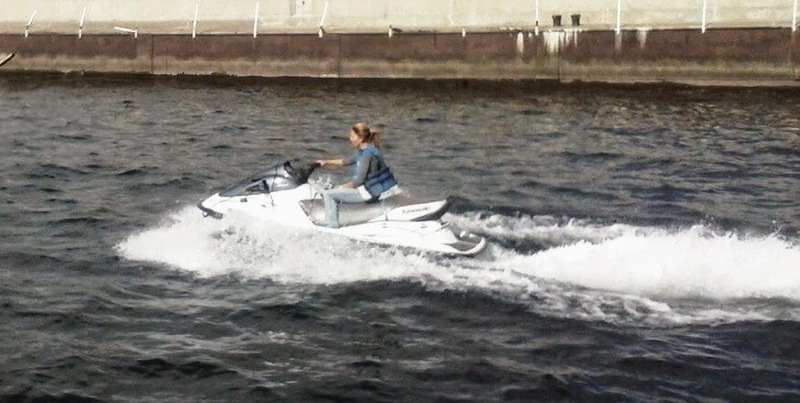 However also makes it impossible for another boater to judge what the jet skier will do next. All boaters should also keep in mind, knowing how to swim and having a PFD on does not mean hitting the water will be safe. 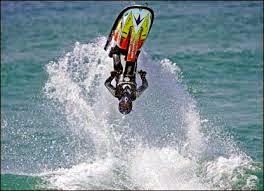 At high speeds or wrong angels, hitting the water can feel and be very much like hitting concrete. ↪Allowing inexperienced boaters or children to go out by themselves on PWC's. If you are going to allow inexperienced boaters, or younger individual(s) to take out your PWC remember your vessel should have come with two keys, one for full horsepower, and another for learning and lower horsepower. Never give the full key to a child or someone inexperienced. PWC can not be steered with out throttle which causes a lot of people to quickly increase speed especially at start shot and this can be very dangerous. Also always go over safety procedures, equipment, and how the vessel will respond and preform. It is always a risk to let people use your PWC but by informing them a much as possible is always best. NEVER let someone take out a PWC under the age of 16 or legal requirements, who can't swim, or who does not have a proper fitting PFD! Boat Nut Media will be launching an 'Introduction to boating, PWC operating and safety course'. Our course will be covering everything from laws and regulations, safety requirements and equipment. We will also be to teach you basic maintenance, the pro's and con's to mooring or docking your vessel overnight, and the differences and benefits to the different keys you will receive with your PWC. Personal Water craft are versatile, fun and exhilarating craft, Boat Nut proficiency course prepares you for riding safely and responsibly and is designed for first time and experienced riders alike. Objective: To be self sufficient in good conditions and aware of the limitations of yourself and PWC. Ashore Knowledge: Safety, Seaman Ship, Weather, Navigation, Complementary Water Sports Guidelines. This part of the program contains 44 separate topics that are related to the above list. Afloat Skills: Preliminaries, Manoeuvering, Under Power, Making Fast and Snugging Down. This part of the program contains 16 separate topics related to the above list. This program when completed can be used as a prerequisite for the International Certificate of Competency which is commonly required when operating your own or renting a personal water craft abroad.Boat Nut considers this program the most comprehensive in Canada.